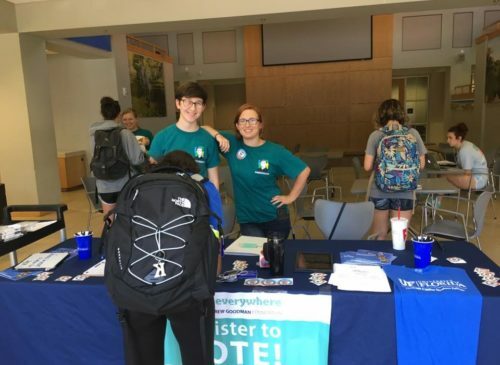 Steadfast student leadership, legal action, and collective advocacy focused on making voting easier for young voters were key ingredients in securing 12 early voting sites at colleges and universities in Florida this election season. Since U.S. District Judge Mark Walker granted a preliminary injunction in late July, The Andrew Goodman Foundation (The AGF), along with national and local coalition partners, has been advocating for Florida’s Supervisors of Elections to add early voting sites to college and university campuses. 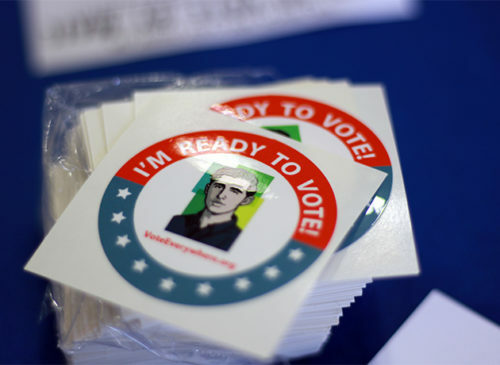 The preliminary injunction resulted from a lawsuit against Florida Secretary of State Kenneth Detzner, in which The Andrew Goodman Foundation joined the League of Women Voters of Florida and six university students as a plaintiff. One of the six students—Megan Newsome, a former Vote Everywhere Ambassador—inspired the lawsuit with her 2017 op-ed that challenged the Secretary of State’s prohibition of early polling sites being on college and university campuses. 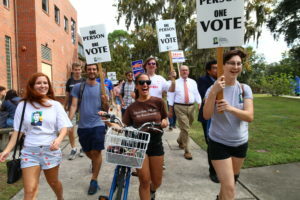 University of Florida students, including Megan Newsome (left) march to their on-campus early voting site. By mid-August, Alachua County Supervisor of Elections Kim Barton, a quick proponent, issued a statement that the University of Florida (UF) would have an early voting site ahead of this fall’s Midterm Elections. But would other colleges and universities in Florida follow suit? AGF quickly turned our attention to Miami Dade College (MDC), where AGF Ambassadors are present on the Kendall, North, and Wolfson campuses. 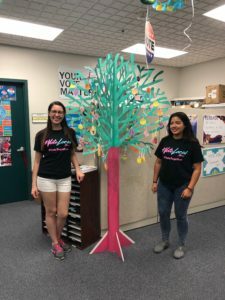 At the same time, The Andrew Goodman Foundation worked with national partners through the Students Learn Students Vote (SLSV) Coalition to bring early voting sites to campuses across the state of Florida. The Coalition’s outreach was organized, strategic, and dedicated. Together, NASPA and Campus Vote Project sent letters to senior administrators at 60 institutions of higher education in Florida, urging their leadership to lobby local officials for on-campus early voting sites. 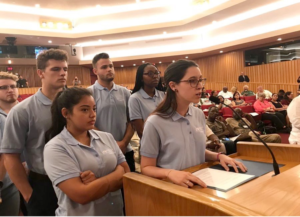 The Coalition, led by All Voting Is Local, League of Women Voters of Florida, Engage Miami, and student advocates, focused their energy on the need for an early voting site at Florida International University (FIU), given its large number of students living on campus. By mid-September, there was victory in Miami-Dade County: an early voting site had been added at FIU. But with a student population of over 160,000, Miami Dade College was starkly missing from the growing list of institutions with on-campus early voting sites. Despite great uncertainty, The AGF coordinated with our partner campuses at Miami Dade College and encouraged Vote Everywhere alumna, Maydee Martinez, to publish an op-ed in the Miami Herald, highlighting Miami-Dade County’s absence from the list of counties with early voting sites on flagship college or university campuses. Miami Dade College’s President, Dr. Eduardo J. Padrón, College-wide Director of the Institute for Civic Engagement and Democracy (iCED), Josh Young, and iCED staff were also vocal in urging Mayor Carlos Giménez and Supervisor of Elections Christina White to reconsider an earlier decision not to add early voting sites to MDC’s campuses. Fiorenza Herrera Diaz (left) and Rebecca Diaz (right) speak to the County Commission. In the end, Miami Dade College students themselves played a pivotal role in securing not one, but two, early voting sites. Undeterred, Rebecca Diaz and Fiorenza Herrera Diaz, Vote Everywhere Ambassador’s at MDC’s Wolfson campus, decided to create and disseminate a petition on Change.org, which collected more than 200 signatures in less than two days. The next day, Fiorenza and Rebecca—with the support of Nazario Saint Louis, another Vote Everywhere Ambassador at MDC, Campus Election Engagement Project, and other students and local organizations—attended a budget hearing to demand that Mayor Giménez reevaluate MDC’s need for accessible early voting sites. Rebecca delivered a compelling and passionate speech to the County Commission, which ultimately moved them to take action, granting an unexpected two early voting sites to MDC. After hearing the announcement, Rebecca says that she was “in complete shock.” She added that she had previously “believed that democracy and government worked so much slower.” MDC’s victory demonstrates otherwise. Not only can local government be responsive to students and their concerns, students can demand change themselves. In fact, students can be the most powerful advocates for issues that affect themselves and their campuses. According to Fiorenza, the Ambassadors’ “next step was to educate students about what’s on the ballot.” To do so, they planned educational events with iCED, as well as #VoteTogether parties, an initiative of Civic Nation, to celebrate the early voting sites and our democracy. Rebecca Diaz (left) and Fiorenza Herrera Diaz (right) in the iCED office at MDC – Wolfson. After this herculean advocacy effort by students and local and national organizations, prompted by the injunction, a whopping total of 12 early voting sites were added to college and university campuses. Florida’s early voting period saw high turnout across the state. At Miami Dade College, nearly 11,000 people took advantage of the early voting sites on Kendall and North’s campuses. At The Andrew Goodman Foundation, we are proud partners of Miami Dade College, and we are inspired by Miami Dade College Ambassadors who made on-campus voting a reality. College students face numerous challenges in registering to vote and voting, and now accessibility to early voting—Florida’s preferred method— is not one of them for the over 50,000 students at MDC’s Kendall and North campuses. Margaret Sasser is Program and Communications Manager. 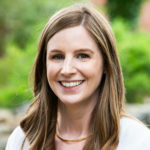 Margaret is passionate about civil rights issues and helping students to become active and engaged members of their communities.